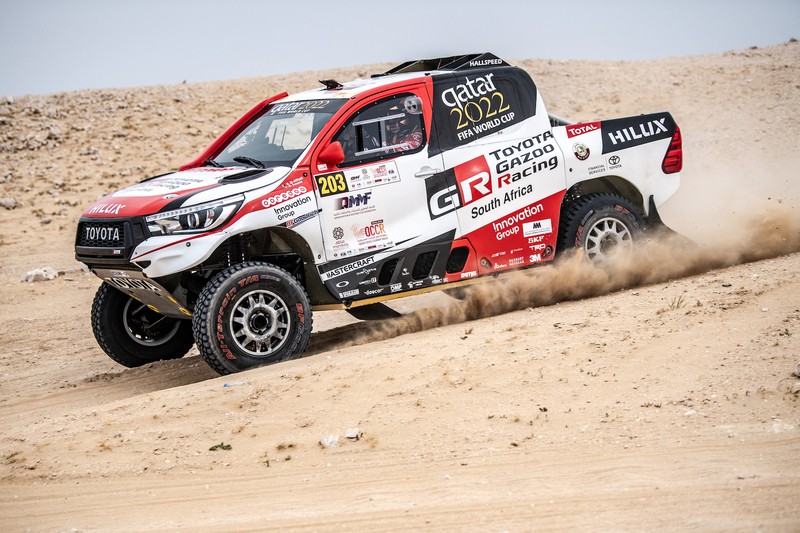 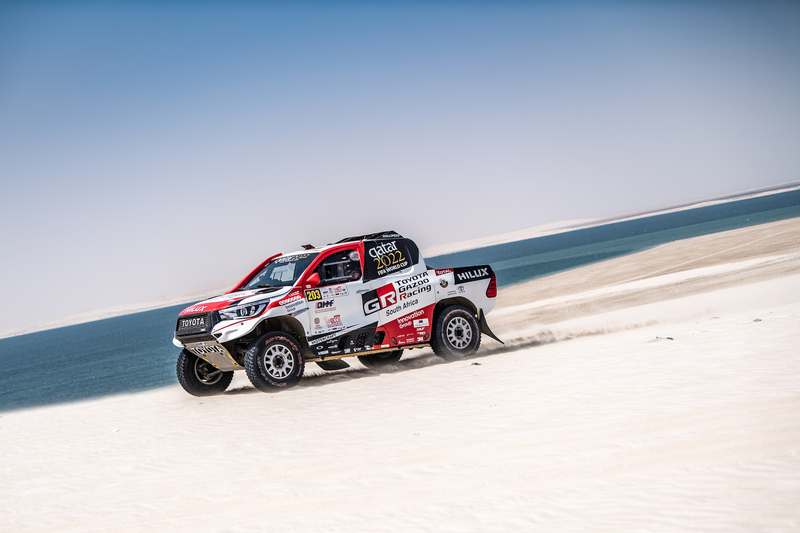 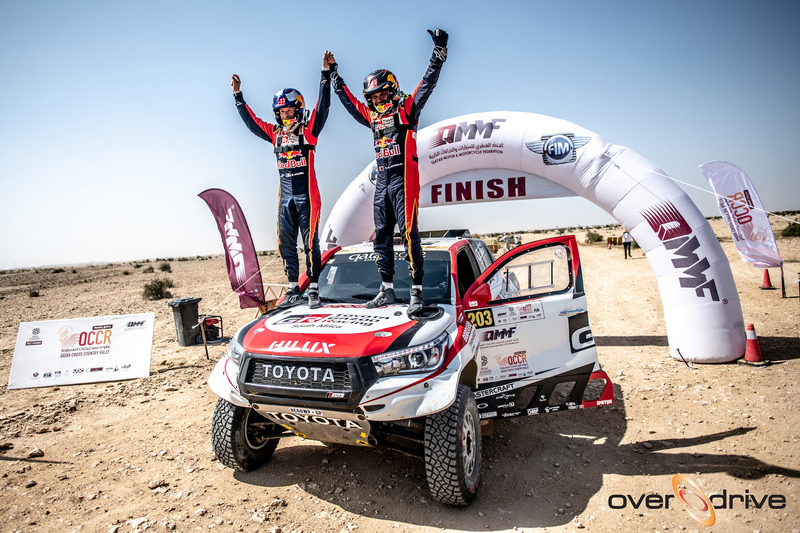 LUSAIL (QATAR) – Sunday, February 17: Fresh from clinching victory in the gruelling Dakar Rally for the first time in January in association with Toyota Gazoo Racing South Africa, Overdrive Racing has entered three Toyota Hiluxes in the Manateq Qatar Cross-Country Rally. 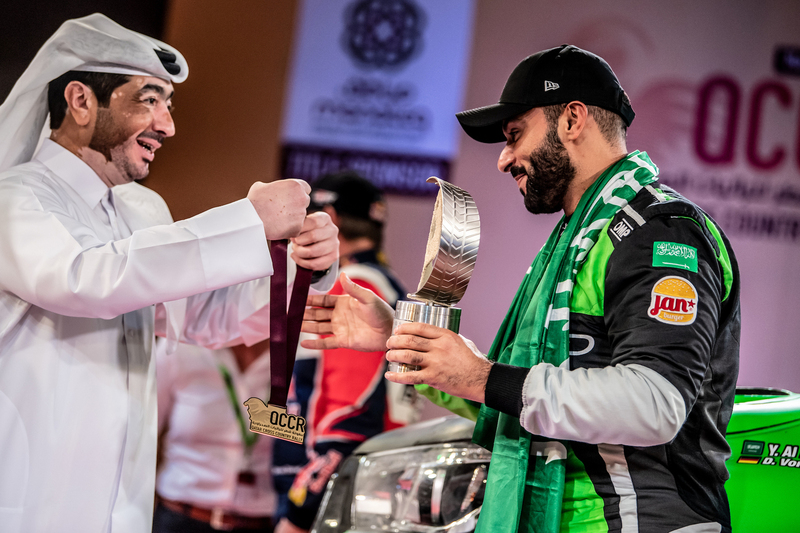 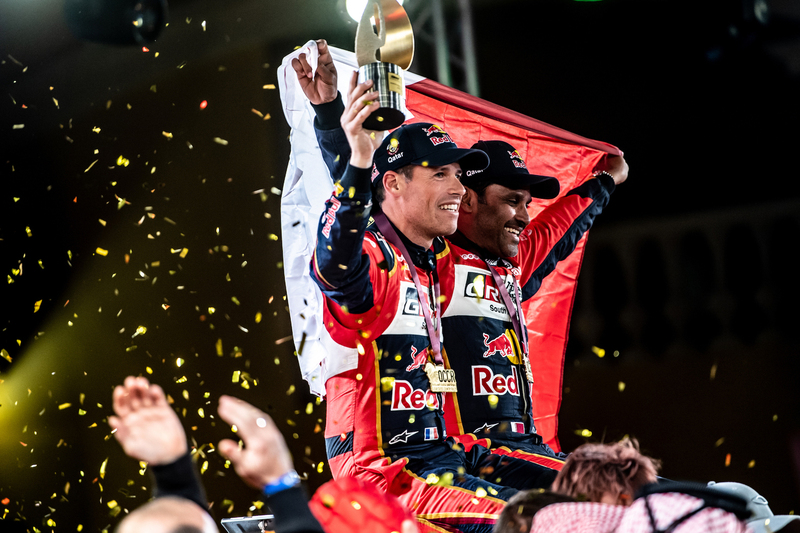 The opening round of the 2019 FIA World Cup for Cross-Country Rallies takes place on February 21-26 and will be fought out over five stages across the length and breadth of the State of Qatar. 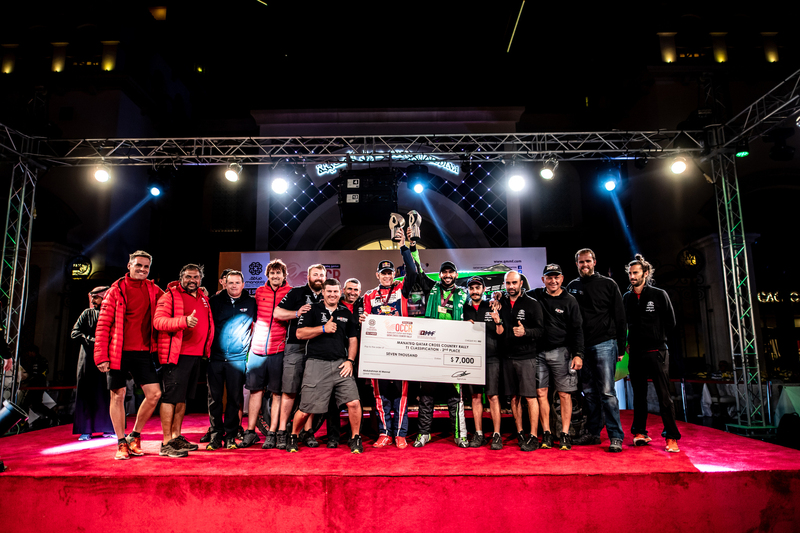 Overdrive Racing will be hoping to win back the FIA World Cup title it last held in 2017 and will be entering two or three cars at each round of the series this year in Qatar, Abu Dhabi, Turkmenistan, Kazakhstan and Morocco. 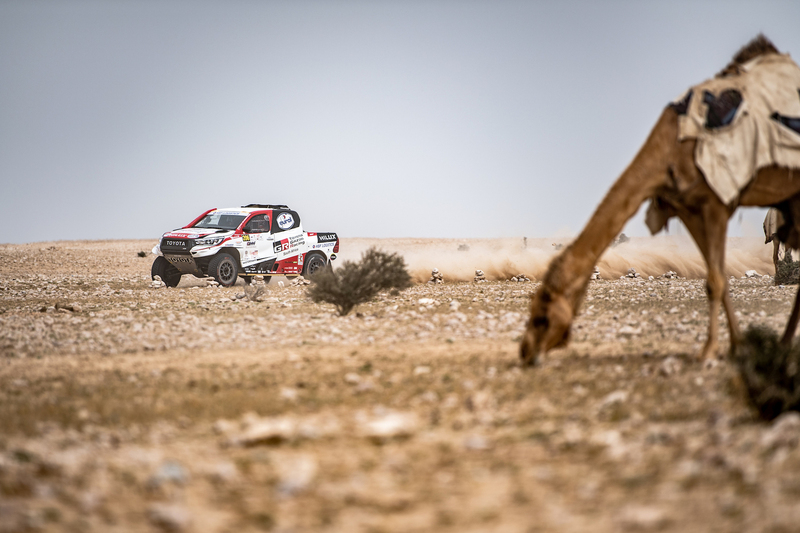 The FIA has, this year, split cross-country events into two championships for longer distance Marathon-type rallies and the shorter Baja events. 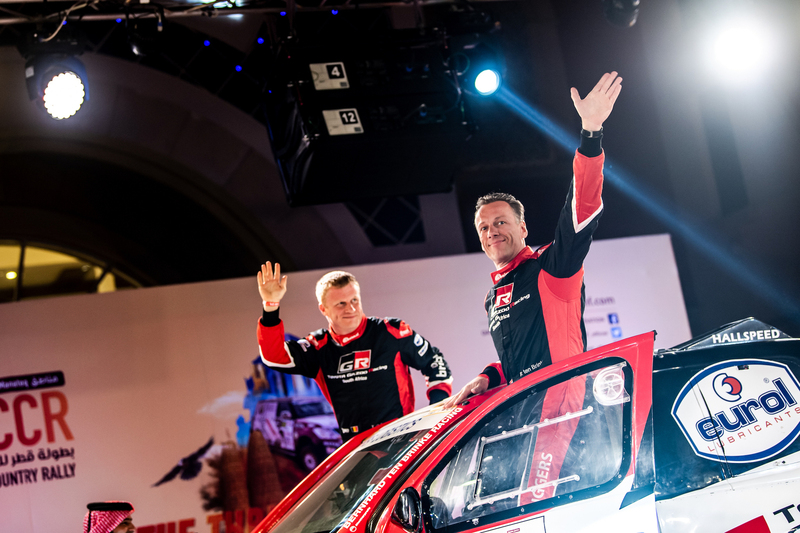 Qatar’s Nasser Saleh Al-Attiyah, Dutchman Bernhard Ten Brinke and Saudi Arabia’s Yazeed Al-Rajhi will drive the three Toyota Hiluxes in Qatar, the trio offering a wealth of international experience to the Belgium-based team that runs under the management of Jean-Marc Fortin. 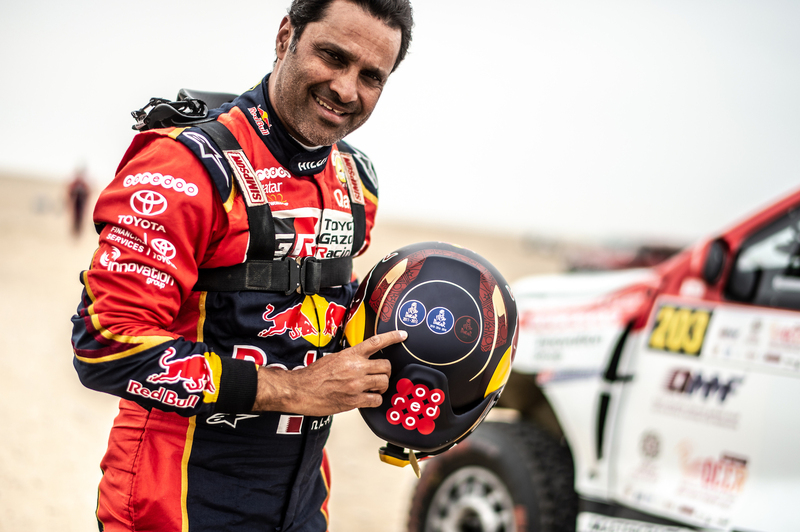 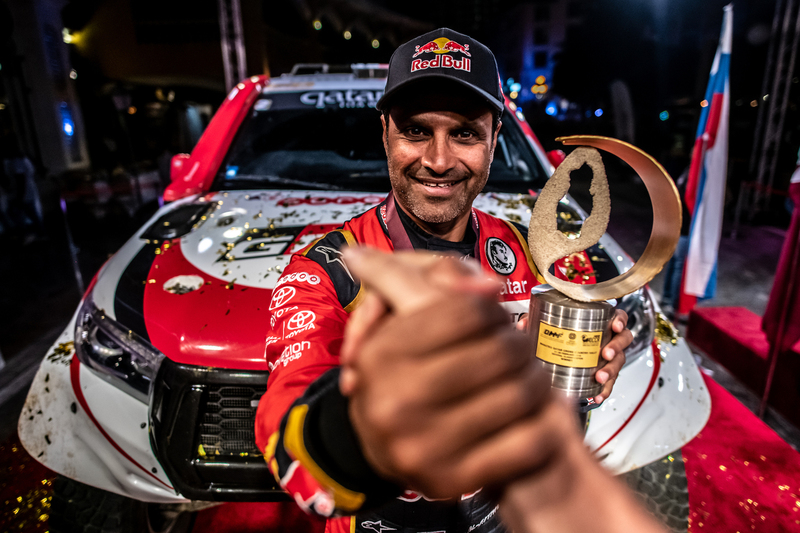 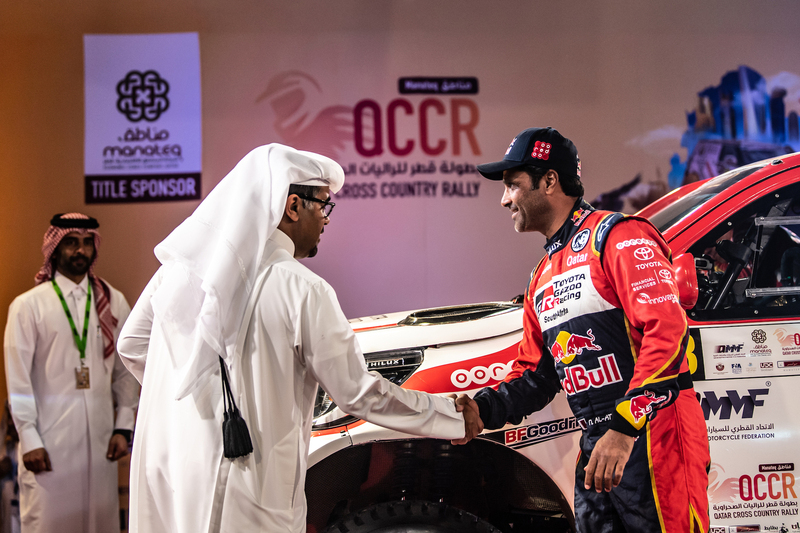 Al-Attiyah is the Arab world’s leading off-road driver and is a three-time winner of the Dakar Rally and a five-time champion on his home event in Qatar. 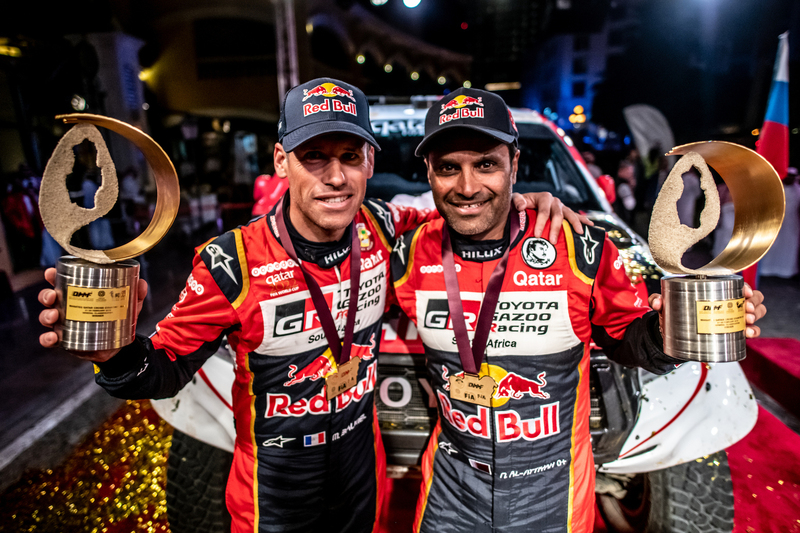 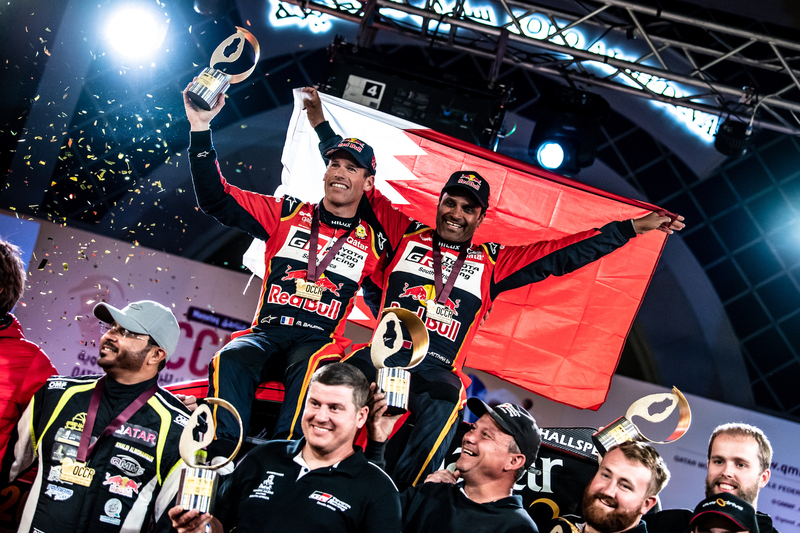 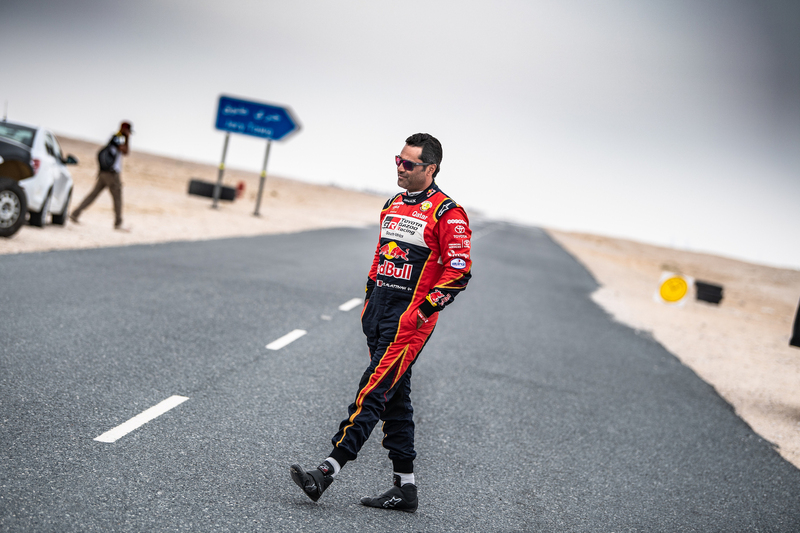 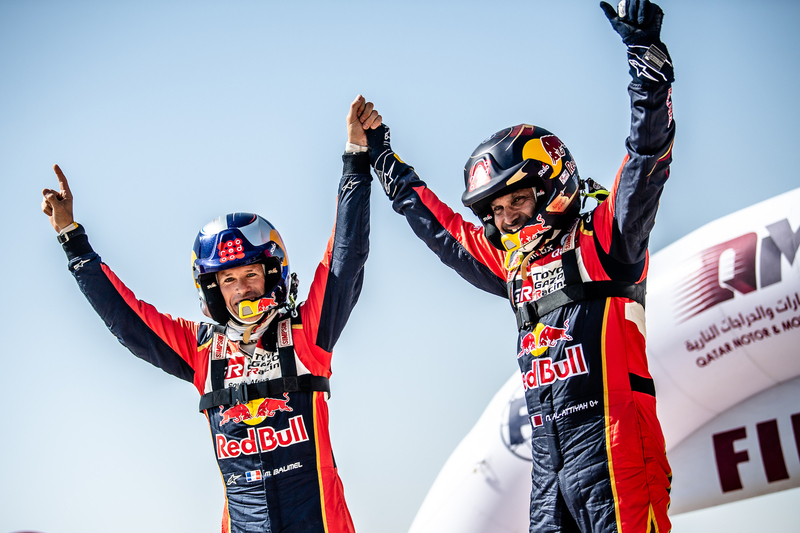 He and French navigator Matthieu Baumel missed out on the FIA World Cup title in 2018 and are keen to get the 2019 campaign underway with a potential sixth victory for Al-Attiyah on home sand. 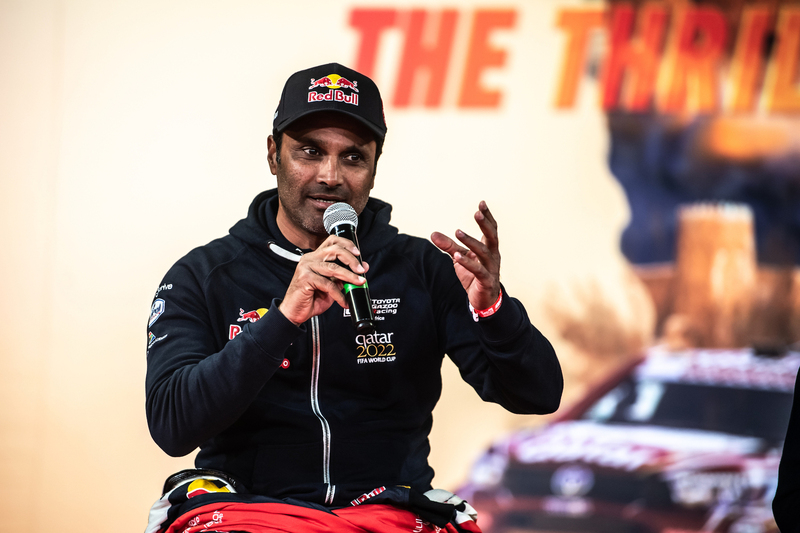 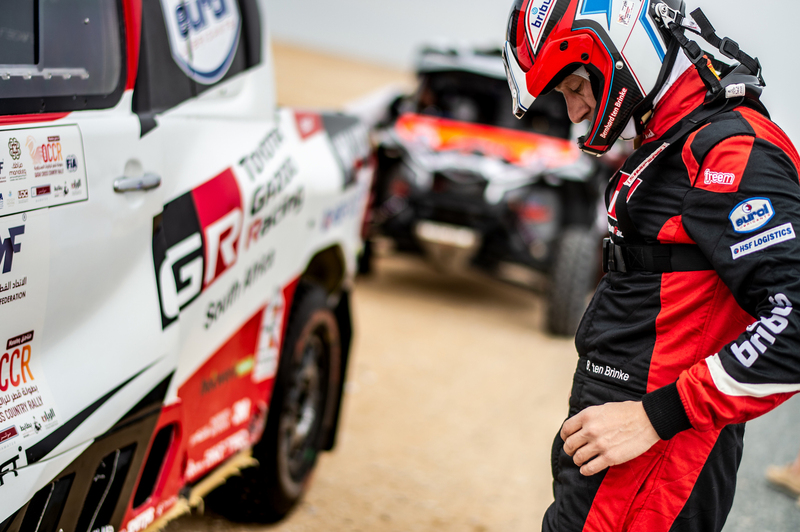 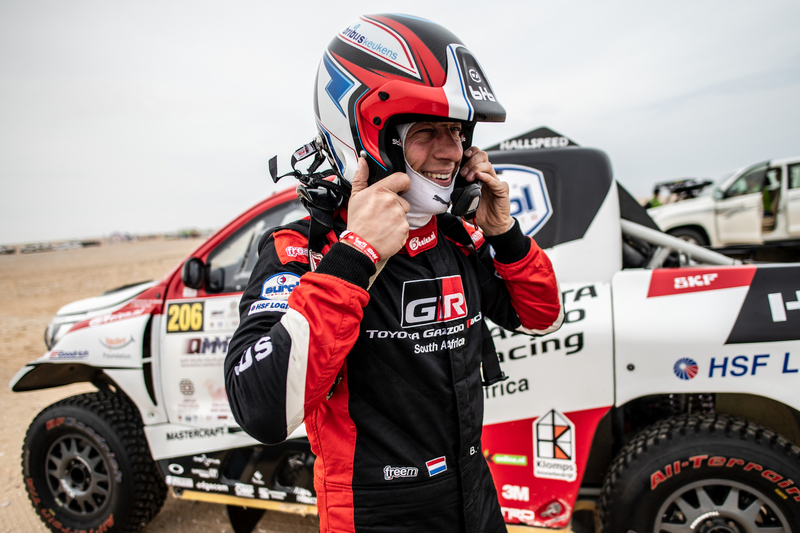 Ten Brinke was Al-Attiyah’s team-mate in the Toyota Gazoo Racing South Africa team and is reunited with his former co-driver Tom Colsoul for the first of two Middle Eastern events in the space of less than two months. 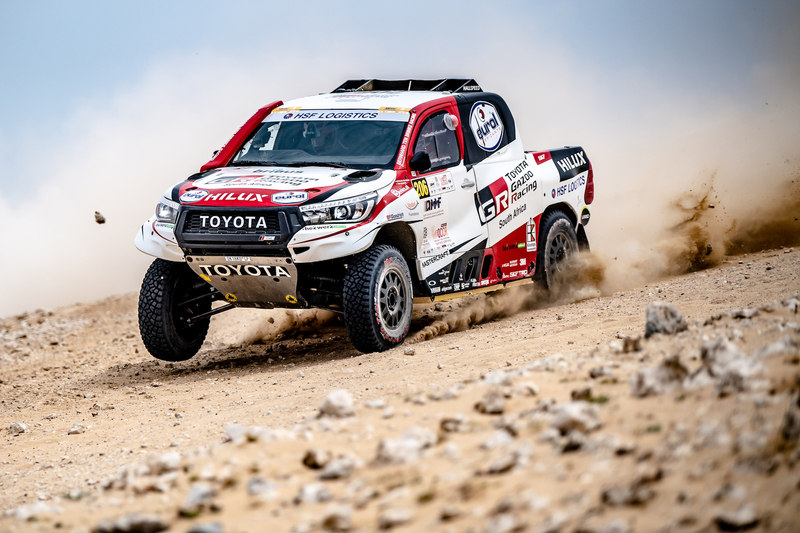 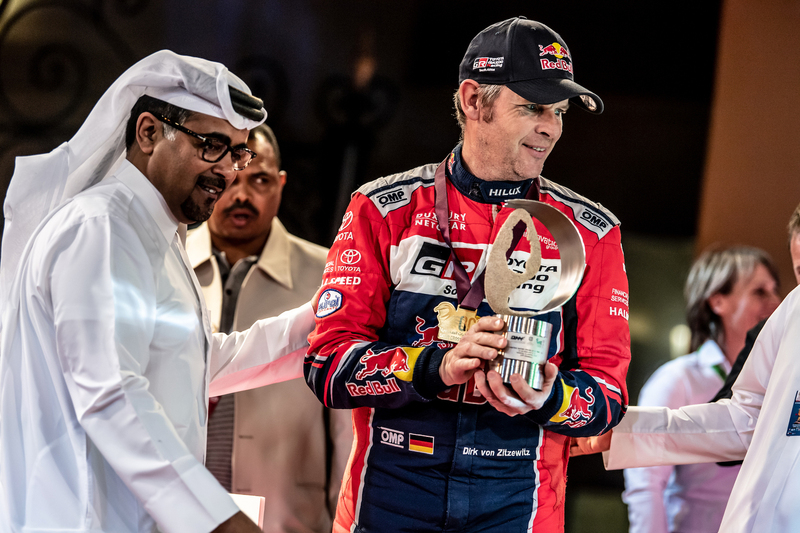 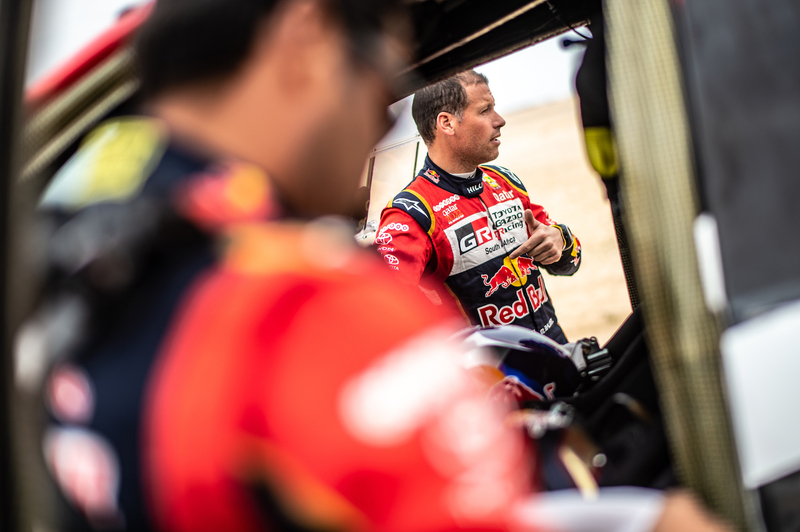 Ten Brinke failed to finish the recent Dakar Rally, but is relishing the new challenge of the Qatar deserts and will need to call upon all his navigator’s experience to overcome the event’s notoriously tricky navigation and deceptive desert trails. 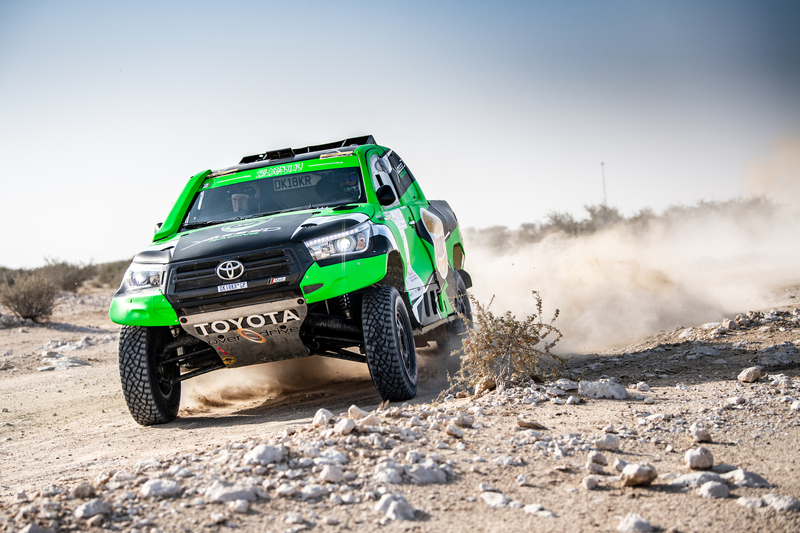 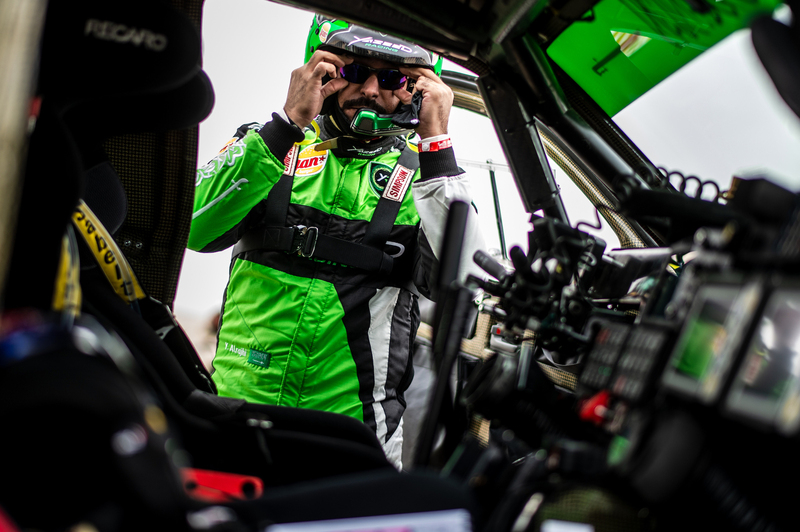 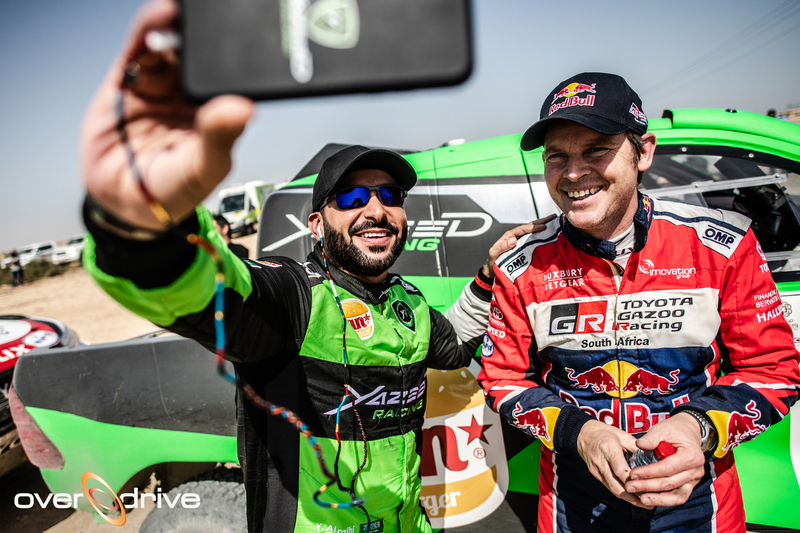 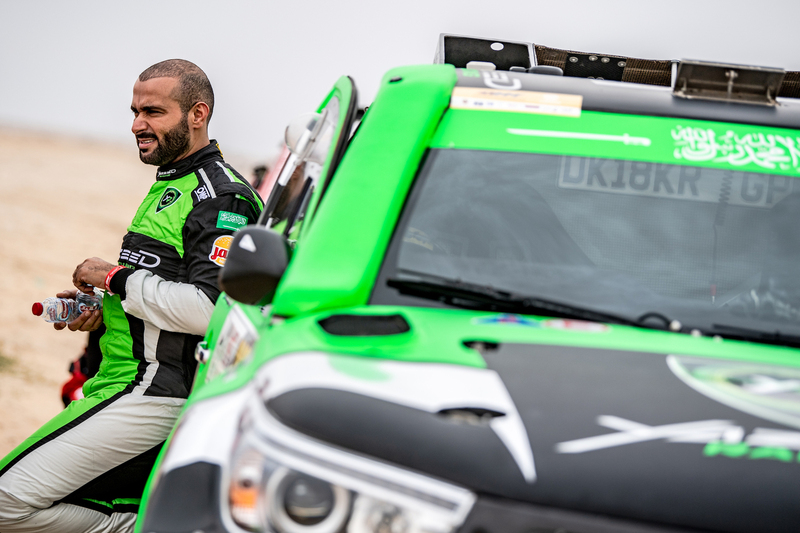 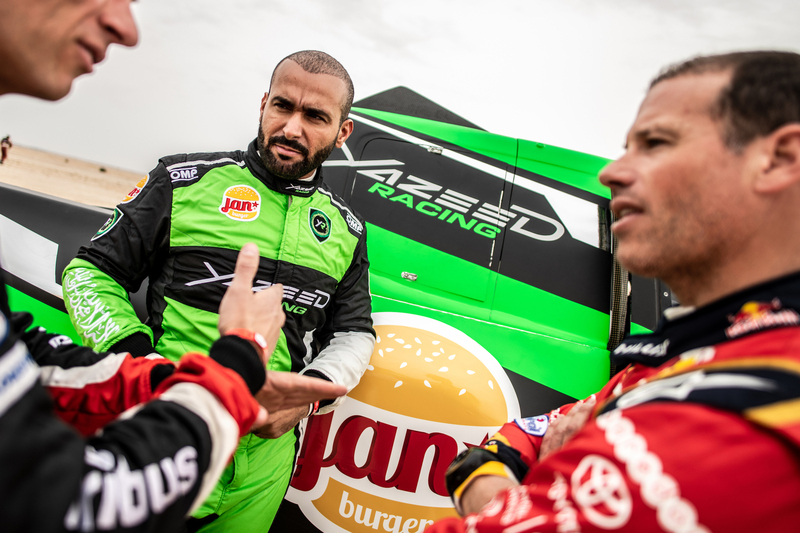 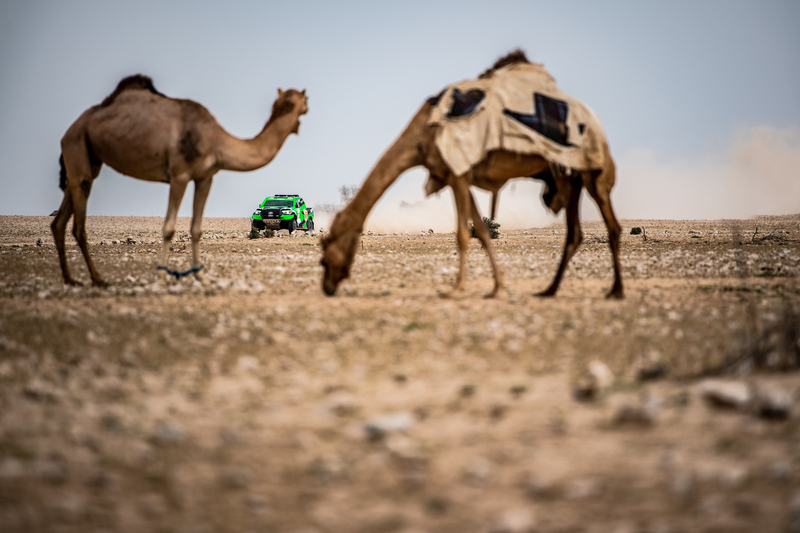 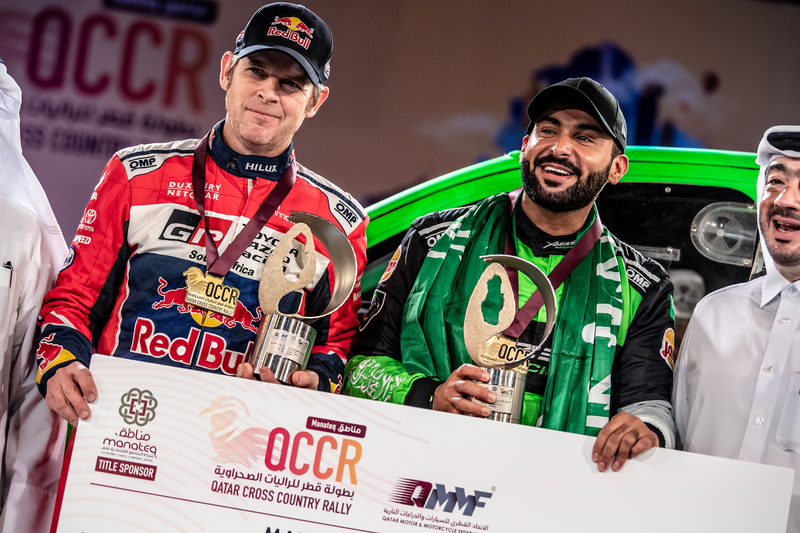 Yazeed Al-Rajhi is Saudi Arabia’s most successful ever rally driver and returns to the Overdrive Racing team with whom he raced in the FIA World Cup in 2014. 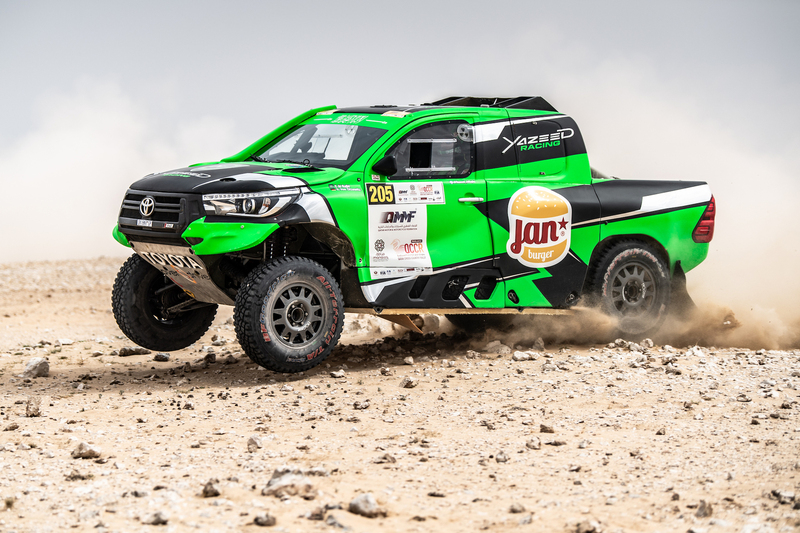 The Riyadh driver will also have a new co-driver reading his road book and navigational waypoints, with the former Dakar-winning German Dirk von Zitzewitz replacing fellow countryman Timo Gottschalk in the passenger seat of the third Toyota. 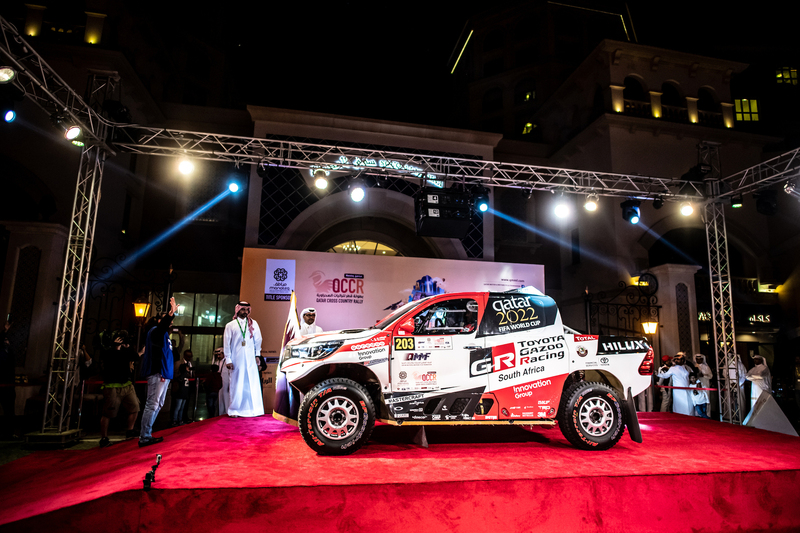 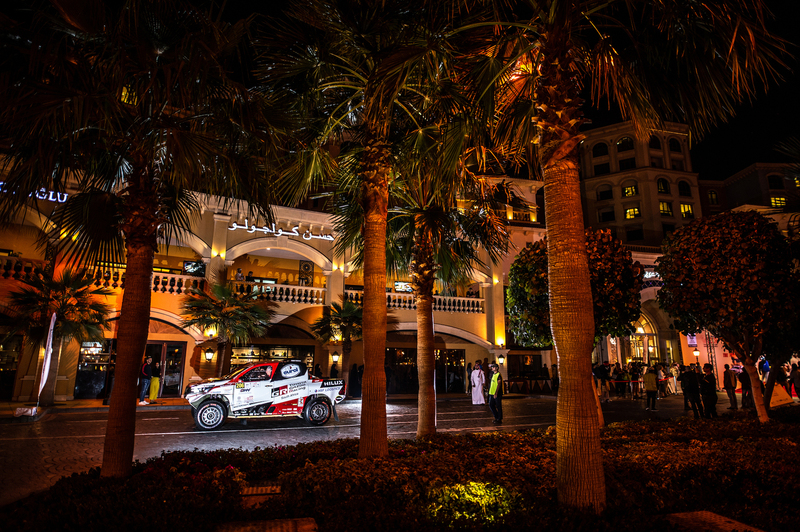 The Manateq Qatar Cross-Country Rally gets underway with a ceremonial start on the iconic Pearl on Thursday (February 21). 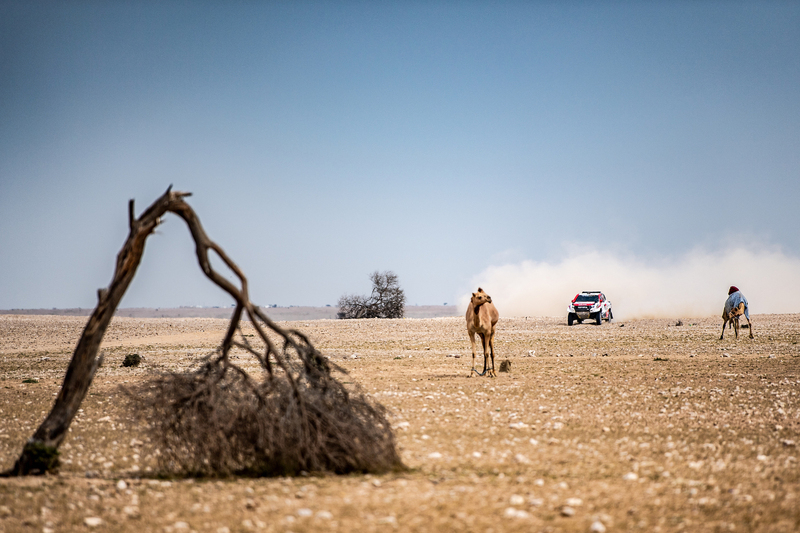 The competitive action then fires into life with a 102km stage on February 22 and that will define the starting order for the first of four further desert selective sections. 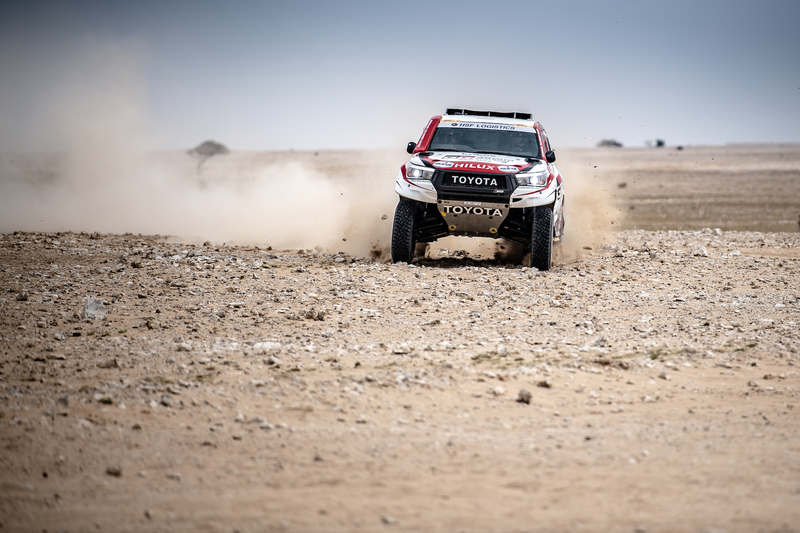 The subsequent two timed sections run for 313km and 338km and the fourth is planned for 350km, with a short road liaison of 56km built into the day’s timetable. 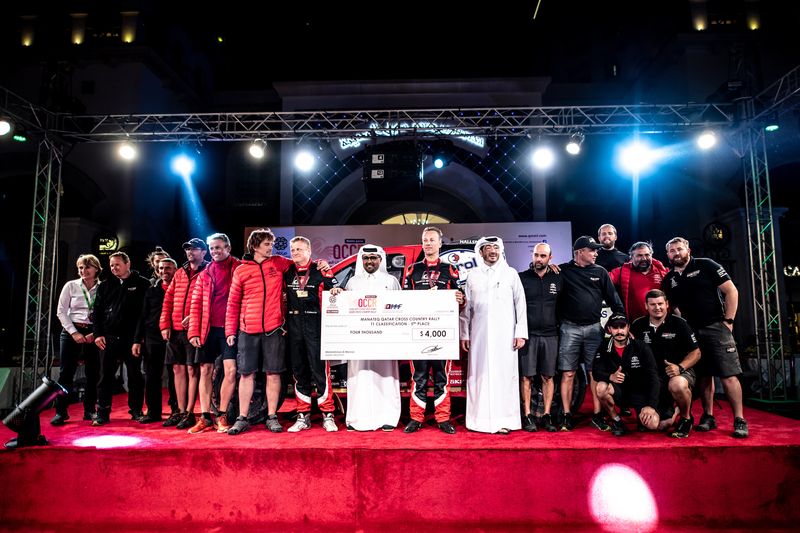 The fifth and final stage takes place on February 26 and runs for 270km before the ceremonial finish on The Pearl-Qatar. 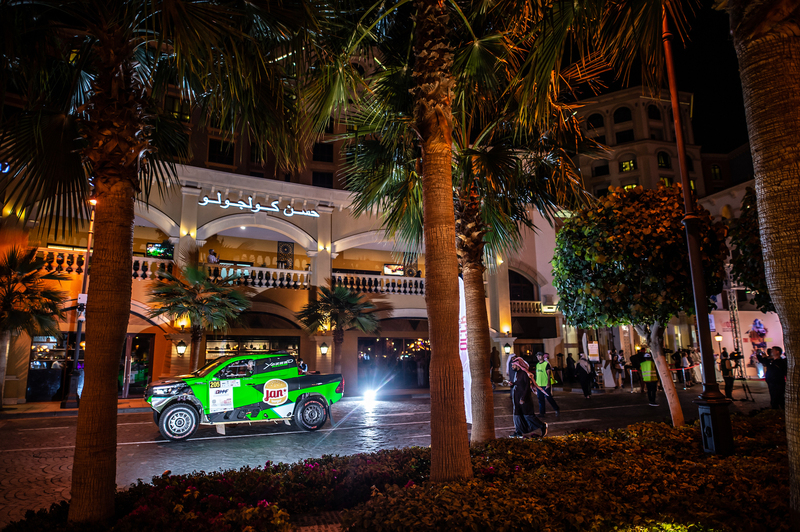 In a route of 2,059km, teams will tackle around 1,367km against the clock.